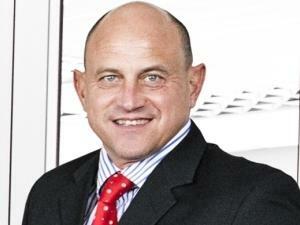 Johann Coetzee, MD Commercial at Datacentrix. In today's decentralised world, the ability to connect, collaborate and communicate in real-time, from anywhere, is a necessity for any business, regardless of size. Datacentrix, a provider of high performing and secure ICT solutions, is poised to assist local companies in simplifying internal communications, while making them more effective, with its appointment as the first South African reseller partner for Workplace by Facebook. Launched in October 2016, Workplace is a dedicated, secure space for companies of all sizes to use familiar Facebook features, such as chat, news feeds, events and groups. "There are an estimated two billion Facebook users globally," explains Johann Coetzee, MD Commercial at Datacentrix. "And, according to research company World Wide Worx, there are around 19 million South African Facebook users, up by a staggering two million since 2017. "Where this is of huge advantage to local businesses is that they are able to extend a user's familiarity and comfort in using Facebook on a personal level to the workplace, saving on training costs and ensuring that employees can metaphorically hit the ground running." In addition, this change in the collaboration game speaks to the much-needed increase in agility, speed and transparency for the next-generation workplace. "Another advantage is that the Workplace offering is able to replace several different methods of communication within the business environment, including video conferencing facilities, internals mails, distribution lists, messaging and VC communication tools, Intranets and even telephony systems. It can easily be integrated with an organisation's existing IT architecture, with content integration from over 50 third-party business tools already available. Possibly one of the biggest advantages of Workplace is the accessibility to custom integrations and automation using powerful bots," Coetzee adds. "Datacentrix's track record as a specialist cloud consultant places it in an ideal position to help South African companies to navigate today's digital world, allowing its customers to drive business efficiencies as well as user experience. The addition of a tool like Workplace to our arsenal allows us to assist our customers in further transforming communications, culture and workflows, essentially building an organisational-wide community," he concludes.